Printer Assist scans your documents on high-volume scanners for all kinds of formats. We offer document scanning from A to E size paper, from small receipts to well logs, B&W, color, single sided or double sided, microfilms, microfiche, aperture cards, bound documents, and more. We also offer document management software systems, including consulting, installation and training. We have scanning facilities in SF Bay Area. We also go at clients's location to perform the job onsite when needed. Document Imaging is a business tool that can save time, save money, preserve natural resources, secure vital information from disaster and even create office space. All of the facets of document imaging together reveal a powerful tool that modern businesses cannot afford to ignore. Document Imaging begins with the conversion of paper documents to a digital format, also called document scanning. Paper documents however are not the only way to achieve a digital document. Document Imaging documents can be faxed directly into the system, they can be printed directly into the system, database and AS400 reports can also be entered directly into the system. Once a document is in the system it is assigned index information. Index information identifies each document and allows it to be retrieved quickly and efficiently. 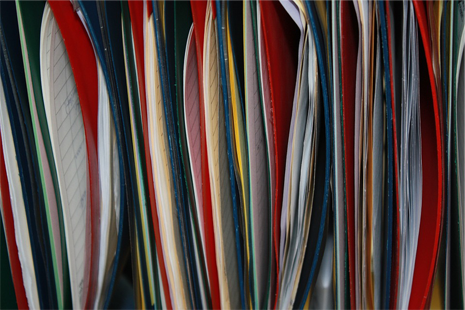 Traditionally filing uses just one important identifier, but with document imaging, many identifying criteria can be used, like names, dates, numbers, locations, etc. Save time: Find all the files you need right from your desk. No re-filing or searching for a lost document. No more standing in line at the copier. Preserve natural resources: Keep waste to a minimum and enjoy the advantages of being as green as possible. Security from disaster: Document Imaging makes it painless to have backups of all your data in multiple locations. Since log files are kept that show what user accessed what documents, electronic security can be more secure than physical security. Create Office Space: Regain what was taken away when each new filing cabinet had to be added because of growing amounts of paper files. Printer Assist, with 11 years of experience in Document Imaging, is able to bring you the best value. Whether you are converting your backfiles to digital format, or simply thinking about managing the workflow in your organization, Printer Assist is your partner, offering scanning services and document management software that fits your needs. We have offices throughout the SF Bay Area.